The Cast Helix, designed by Akio Yamamoto and released in December 2009, is another devilishly difficult puzzle by Hanayama. 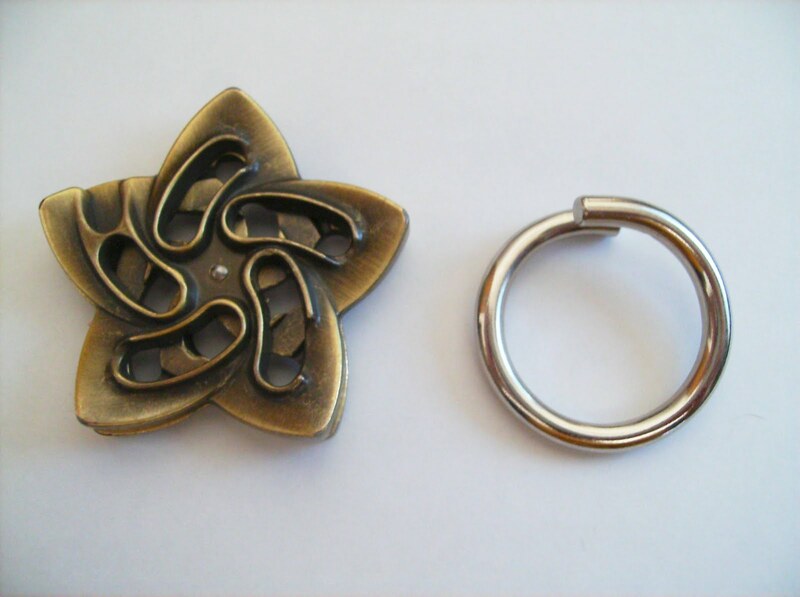 It has a beautiful design in the shape of a star and a ring, which is the part you have to worry about and take apart. Besides the ring, the star is composed of two identical parts with five holes laid out in a spiral. Only three holes are identical, and the other two are different from each other. You move the ring around the star by rotating both parts so that they have a slight offset, creating a big enough gap between the holes of front and back, to let the ring pass through. You may find yourself at times, just rotating the ring around only to be back at the exact same position. You need to find a different way to get the ring out, other than just rotating it around the star. I can give you a hint... SPOILER: You have to make the ring tilt sideways. After that, you're almost done. Solution available for download here. Regarding the Helix difficulty, it's among the harder ones. 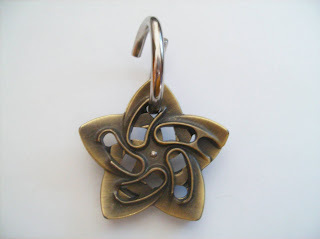 Hanayama gives it a 5 out of 6 and Puzzlemaster, a 9 out 10 (gruelling). This one took me weeks to figure out, after constantly doing the same thing. What makes it very difficult is the way to solve it, which is very different from the natural movement of the puzzle around the star. A good thing is that it's very easy to put it back together, so you won't have the puzzle in the solved state lying around for long. The Cast Helix is available at PuzzleMaster for CAD $12.95.